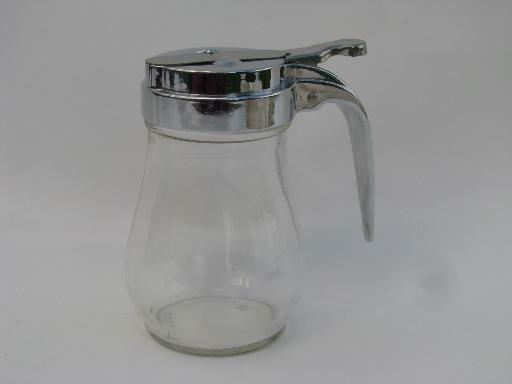 70s vintage syrup pitcher, nicely sized for one or two. 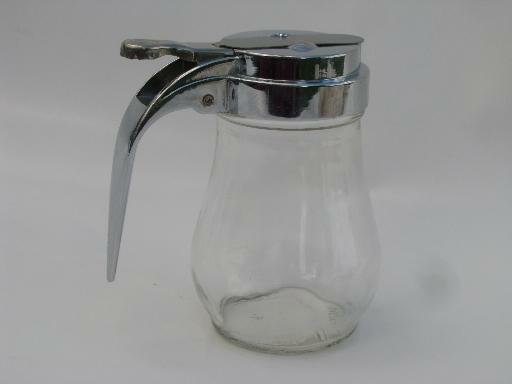 It's 4" tall overall, with screw top metal lid, dripcut style - and glass jar marked Taiwan. 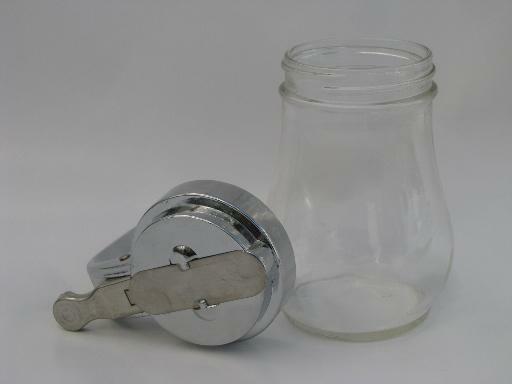 It's nice and clean and in very good condition.